Redirect all 404 errors to return index.html where Angular launch. 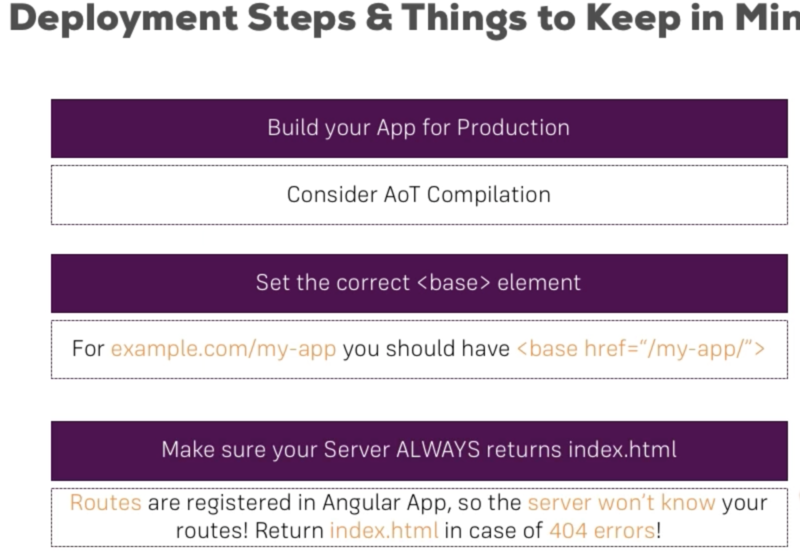 Routes defined in Angular (such as /recipes) are not configured in the server, so it will return a 404 error by default. So you will need to set up your server to redirect to index.html in these cases.